Are Security Cameras Legal To Use? Denver Locksmith » Resource Center » Security Cameras: When and Where Are They Legal To Use? Though there are some grey areas in the law, generally speaking, it is legal to use security cameras as part of a security solution for a home or business in the United States. Hidden cameras may be used without the consent of the people who are being recorded, however, there are limits. 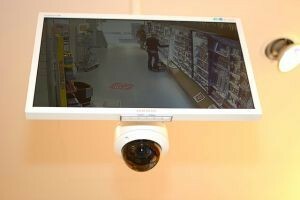 Recording surveillance in public places, such as stores and restaurants, is typically legal. It is also acceptable to do so in public spaces, like city streets, malls and public parks. For businesses, it is generally legal to install hidden security cameras to monitor their employees. While many choose to let their employees know that cameras are present, they are not required to do so. In determining where hidden security cameras can be installed in businesses and other public places, you must consider “reasonable expectation of privacy” guidelines. These guidelines establish that placing hidden cameras in areas where people should reasonably expect privacy is illegal. You cannot install hidden security in public areas where privacy can be reasonably expected, such as restrooms, hotel rooms, locker rooms and fitting rooms. Inside your home, the use of security cameras is generally legal. Not all states ban the use of cameras in private areas in residences, but doing so is still not considered morally acceptable. Typically, hidden security cameras should not be installed in places like bathrooms and bedrooms. This means that using a hidden camera to catch your teen in the act of sneaking out at night may be illegal. Prior to installing security cameras in your home, speaking to your attorney is advisable. 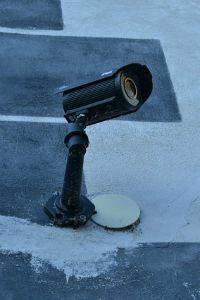 In doing so, you can learn the exact rules for residential security camera usage in your state. Your lawyer will also help to ensure that your system is set up legally so that the footage your capture will be admissible in a court of law if necessary. In the United States, recording video for the sole purpose of blackmailing the subject or other malicious intent is illegal. Even if you are abiding by the laws regarding the use of hidden cameras in your state, your rights are waived if you are found to be engaging in illegal behavior. In the terms of the law, there are major differences between video recordings and audio recordings. While the laws governing the capture of video footage, they are much clearer in regard to audio recording. You may not record a telephone call or in person conversation without at least one party consenting to the conversation. In some states, both parties need to consent. For this reason, the vast majority of security cameras do not have the ability to record audio. Because there are so few clear-cut Federal laws governing the use of security cameras in homes and businesses, many people are hesitant to use them as part of an overall security solution. Generally speaking, however, they are legal to use as long as they are not installed in areas where one could reasonably expect privacy, such as changing rooms, bathrooms, bedrooms, etc., and the camera does not record audio since the laws governing audio recording are much more clear cut and strict. If you are considering security cameras for your home or business in Colorado, contact the security experts right here at Colorado Security Products. We are familiar with the laws governing the usage of security cameras in private and public spaces in Denver and throughout Colorado, and we will be more than happy to work with you to create a solution that suits your needs without breaking any laws. To learn more about the Colorado security systems available from Colorado Security Products, give us a call at 303-756-1000. Whether you need a nanny cam set-up to ensure the safety of your little ones while you are at work or you need a comprehensive business security solution to monitor your employees and prevent theft, we can help. All of our security solutions are fully customized to meet the unique needs of each individual customer, and we pride ourselves on providing affordable and reliable security for the things that matter most.